China’s role in the contemporary international order has exponentially grown over the past decade and has culminated with president Xi’s announcement of the ‘millennium project’: One Belt One Road (or the Belt and Road Initiative). Considering that no country is currently offering such an ambitious endeavor to the world in the near future, China has underlined its leading position in the global agora. The Belt and Road Initiative may turn out to be a perfect tool for ‘restoring the ancient greatness’ of China. In this sense, one cannot but agree with Kissinger which argued that China’s rise is rather a reestablishment of its historical preeminence than a new phenomenon. Behind the BRI, there lies a development strategy and China’s strong commitment to a new economic model allegedly characterized by Western-inspired values of pursuing innovation, cooperation and open market, called the Beijing Concept. The combination of the BRI with the Beijing concept represents China’s specific attempt to make peace between tradition and modernization by taking the best of both and creating a new modus operandi that can be offered to developing countries in Eurasia and Africa, not as a conditionality, but as an opportunity for mutual benefit and cooperation. “Welcome aboard China’s train of development. China is willing to offer opportunities and room to Mongolia and other neighbors for common development. You can take a ride on our express train or just make a hitchhike, all are welcome” President Xi Jinping. A key role in the revitalization of the ancient Silk Road was put forward for the Western Balkan countries which have been included in a project within the broader 16+1 mechanism offered to all Central and Eastern European countries. The cooperation between the WB countries and China has its roots in 1968, when Chinese prime-minister Zhou Enlai approached Yugoslavia and Albania. Considering the turmoil in Europe after the ‘Iron Curtain’ fell, further cooperation was put on hold until 2012 when the 16+1 concept has been introduced. 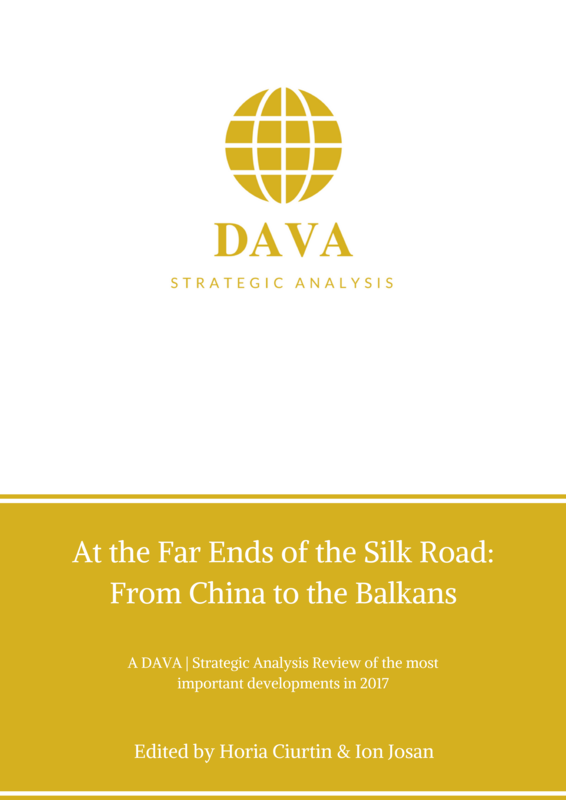 The already commenced cooperation carries several challenges both for China and countries of the WB region, namely deep differences between the two worlds, the instability of the Western Balkan region and ‘stealth’ intentions of China’s offering. However, China’s investments and the Beijing Concept might be of help in reducing the potential instabilities in the Western Balkans, region where overall development can have positive effects on inter-state relations and where an increased Chinese presence can conclude the geopolitical fuzz. However, there is still doubt if China’s offering bears more strings attached than a mere pragmatic economic cooperation and if its increased geopolitical presence might trigger other actors. The Western Balkans have recently been experiencing new instabilities and security threats in the form of geopolitical competition, deterioration of inter-state relations, internal political crises, a growing sense of extremism and radicalism and the phenomenon of foreign (jihadi) fighters. Also, the countries in the region are constantly struggling with a slow economic development and a low standard of living. Despite the aforementioned factors, the Western Balkans’ area represents a valuable cooperation partner for China due to the geostrategic importance of the region for the larger OBOR project. A key factor is the long Adriatic shore and the fact that the region is literally at the geographic (and economic) crossroads of Central, South and East Europe. Furthermore, the possibility of future EU integration for the remaining candidates from the region is pessimistic, especially if the statement of Jean-Claude Juncker that no EU enlargement will happen in this Commission term is to be taken into consideration. So far, the integration process was the main EU stability mechanism for the region, an endeavor that is now backsliding due to challenges that the EU itself is facing and due to the questionable commitment of the remaining candidate countries. Therefore, most of the Western Balkan countries are now in dire need for an alternative ally that can offer closer cooperation and capital flows. And China’s 16+1 cooperation framework – designed for all Central and Eastern European countries – might just represent a much needed filling of the ‘gap’. What China is offering is the construction of transportation infrastructure, investments and multilayered cooperation. The present calculations for the BRI have shown that maritime trade remains the key cargo transport and that shipping in Europe can be shortened for 6 – 8 days if the unshipping of the cargo takes place in the Adriatic. However, to replace the cargo capacity that can be currently seized in Rotterdam or Hamburg and to adequately connect the Adriatic ports with other parts of Europe, massive infrastructure development is needed – and that is precisely what China intends to do. The main hub port is still considered to be Piraeus in Greece, where investments of over half a billion Euros went in port infrastructure, making it the ‘busiest’ port in the Mediterranean. However, Rijeka, an important port in Croatia can have a crucial role within this maritime corridor. If the existing capacities of Rijeka are increased and the railway routes are upgraded, it will become a valuable point for easy access of both Central and South-East European countries, given the proximity of Budapest, Belgrade, Vienna, Bratislava or Munich. Along the Black Sea – Danube – Europe corridor, the countries of the Western Balkans also have a key role, namely the Croatian and Serbian ports on the Danube River, but also other countries that are on a south and southeast route for connecting with Greece and Turkey. Building and revitalization of most of the existing infrastructure, as well as the increase of river ports’ capacities, will demand a high amount of investment and construction work. The most important of China’s Balkan investments so far turned to be the Hungary-Serbia railway, with a significant value in several corridor schemes. Moreover, Beijing has undertaken many investments in other countries of the Western Balkans, but the investment climate is rather unstable in these polities. Within the 16+1 format, countries of the Western Balkans are showing some of the poorest economic indicators with the notable exception of Croatia. However, the latter’s engagement in undertaking such cooperative projects remains low. In this context, it must be noted that a majority China’s endeavors manifests through direct investment stemming from China to a particular country, while the level of mutual trade remains considerably low. Besides transport and infrastructure, important amounts of China’s FDI go into the energy sector with an emphasis on viable and sustainable projects. A good example is a project in Serbia, worth 200 million Euros, aimed at decreasing the gas imports and enabling cheaper heat for the capital of Serbia. The average value of China’s projects in the region has reached 106.4 million Euros in 2017, marking a significant growth compared to 2016 when it only raised to 70 million. In this context, the country that has attracted the most investments and has the highest number of projects is Serbia, where beside a favorable economic climate which is constantly developing, there is a high readiness of political elites for bilateral cooperation with China. Within the framework of the Beijing Concept, China puts an emphasis on innovation and technological development since the old Sinic economic model – based on large manufactures and cheap labor-force – is proving to be unsustainable. Beijing clearly admitted that hi-tech and IT are the industries that bring along development and progress, being the uncontested denominators of the present and of the future. Definitely, China is on a quest for innovation and is already targeting such desirable companies in the Western Balkans. Thus, the Chinese company Camel Group made a 30 million Euros investment in the Croatian superstar Mate Rimac who is the owner of Rimac Automobiles, a company that is producing high-performance electric cars, already worldwide known. In addition, it must be noted that the Western Balkan countries are not only geostrategically important for China, but they also represent a potentially big and reliable business market. Considering China’s investments, as well as EU-funded projects and cooperative frameworks, these countries have a clear potential for development and growth. As a main precondition for achieving this is the sustainable stability and peace in the region. Therefore, China’s crucial offering to the Western Balkans might be represented by its investment in the security of the region, thus arising as an alternative to the stability mechanism of the EU’s accession process. However, it is still uncertain how the EU and China will be able to find common language and build a veritable partnership in order to create a sustainable stability in the region for their mutual benefit. As mentioned above, the Western Balkan region has been facing numerous challenges in the last couple of years and has been forced to deal with issues that everybody wished to be forgotten. A slow recovery from the late Balkan wars and unsolved disputes disabled the envisioned progress towards Euro-Atlantic integration, leaving the whole region in a political limbo. Considering such a challenging security environment, the EU stumbled in monitoring the stability of the region and – thus – enabled other global powers to emerge in the area. The collision of external powers brought tensions in an already divided and troubled region, situation that – combined with the 2015 migration crisis – finally resulted in the deterioration of relations and in the growing of populist rhetoric. Considering the importance of regional cooperation for the BRI projects, such an environment – colored with resentment and smoldering disputes – can pose a serious obstacle for China. And thus, precisely in the regional cooperation field (perceived as a key factor to future Balkan stability) where the EU did not rise to the expectations, China now has an opportunity to succeed. On the other hand, the continued internal political crisis is another challenge that China will definitely have to face. The perfect example was that of Macedonia, where China witnessed the consequences of being involved in corruption scandals. The combination of an unstable political situation, weak institutions and corruption is complicating the terms of business for Chinese investors, in particular if supervised by the EU. Furthermore, it is inevitable that the Western Balkans are earmarked as an EU ‘sphere of interest’ and – although both China and the EU have mutually recognized each other as partners – suspicion is present. It has been difficult for the EU to simply accept the rhetorical declarations that China is seeking only economic cooperation without any political connotations, when these two modes of interaction have always been interlinked and inevitably led to a greater consolidation of power. However, the truth is that the EU at the moment cannot engage itself in the Western Balkans at the desired extent and it is forced to acknowledge the fact that China is stepping up. Thus, if China succeeds in realizing its OBOR project and include the Western Balkans countries within, it would mean a certain failure of the EU, primarily of its ability to act as a significant regional (and, even less, global) player. Considering aforementioned possibility, it is difficult to expect that the EU will simply let China to increase its economic and, consequently, political presence in the region without having a word to say. Moreover, given the new phenomenon of foreign fighters in the Western Balkans, there arises a novel (and serious) threat to regional security and cooperation. Such security challenges need to be addressed and overcome if China really wishes to accomplish its millennial project, apart or together with the EU and NATO. However, the true challenge will be to make China and the Western Balkans compatible in terms of culture and modus operandi. It is more than clear that cooperation with China is highly necessary for the entire Balkan region, in order to attain a higher degree of development and economic progress. The China – CEEC cooperation within 16+1 cooperation framework allows countries from the Western Balkans to be equal partners with rest of the EU member states (no matter their size or economic development) and to achieve their stated national interests and goals. Furthermore, China’s rapid economic development that raised social standards can serve as a model for some Western Balkan countries. Moreover, cooperation can widen the economic specter so that it includes a social corollary by working jointly on dealing with poverty, low living standard and building partnerships for knowledge transfer and policy exercise. If the Western Balkan countries manage to attract more projects and investments from China and complete their undertakings, the region could really become the much desired bridge between Asia and Europe and enjoy all the benefits of such a geopolitical position. China’s offering has multiple benefits, looking from a purely pragmatic perspective, but also carries numerous challenges for all the actors involved. Beijing has already witnessed the consequences of some inadequately handled crises in the region and it is inevitable that some of them need to be solved in order to reach the greater goal. For the Balkan countries, the worst case scenario would be to simply be treated as the region upon which China is building and exercising its leverage in relation with the West, namely the EU and the US. A mere bargaining chip and pressure point upon China’s global contenders. Nonetheless, despite resentment from some Balkan countries – such as the EU and NATO member Croatia – and from the Western block of EU core countries, it is a fact that China has become one of the most important global players in the contemporary international order and that the BRI is the most significant project on the horizon. To be left out of it, especially when there is a possibility to hold a nodal point within it, would represent a loss of great opportunity and a risk to be remain hanging on the margins.